Snow shoes at the ready! 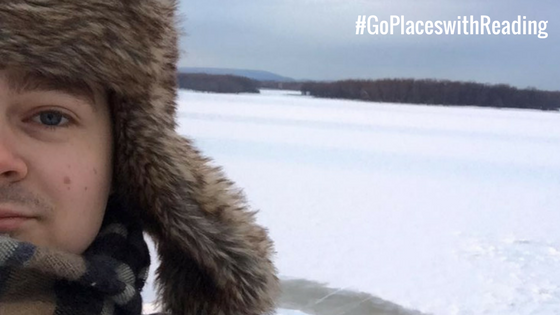 Natasha studied abroad at the University of Ottawa in Canada for a semester as part of her Geography degree at Reading. 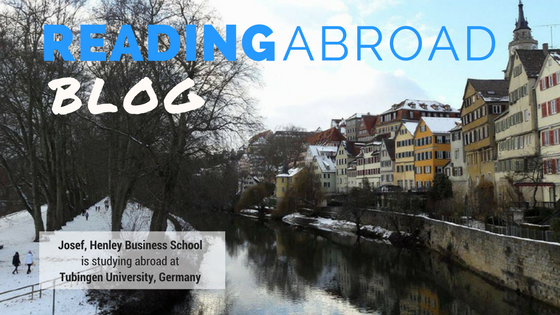 THis blog post covers the latter part of her semester abroad! I am now mid-way through my semester abroad in Canada and its safe to say I’m still loving every minute of it! The week after reading week, my boyfriend came to visit me for a week, so we used that time to drive (6 hours) to Toronto and Niagara Falls. 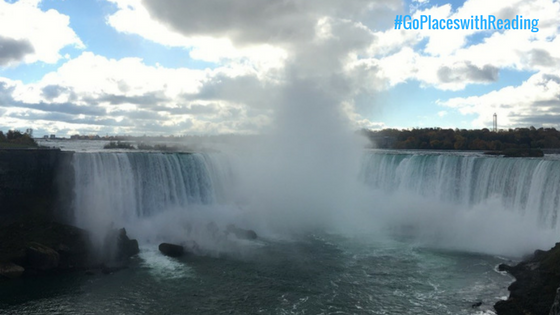 Most of my friends had already been to Niagara Falls and hearing all their stories from visiting, I was so excited to actually go and see it myself. The sheer size of the waterfalls were just insane, like nothing I had ever seen before! Toronto as a city was amazing and definitely one of my favourite cities that I have ever visited. We managed squeeze so much into a short weekend visit, as I wanted to make sure that I didn’t miss any classes at ottawaU. Going up the CN Tower and seeing the entirety of Toronto over sunset was so beautiful, and really put into perspective just how spread out the city is! Visiting the St. Lawrence Market, which has been recognised as the number one food market in the world, was so much fun and we tried so many different foods in a relatively small area. 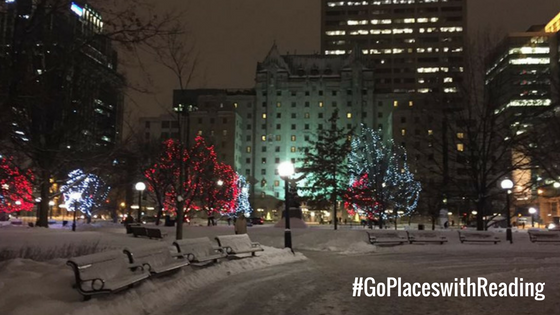 In November, the cold weather had finally hit Ottawa, with temperatures going down to negative twenty-eight, so we were staying inside a lot more. Despite this, a group of international students, with the help of a guide, had arranged a weekend stay with a First Nations family in the North-Western Territories. Needless to stay, it was of the most humbling experiences of my life. Being able to experience the way they live completely off the land, understand the struggles they go through and staying in such a beautiful place. I am still experiencing new things in relation to the Canadian culture, by visiting copious amounts so University sports matches, particularly ice hockey. The workload has increased recently, with final papers needing to be handed in – all four within one week! On top of this, final exams were only weeks away so the going out had slowed down. 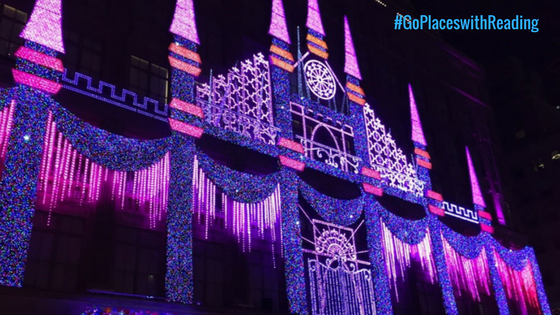 However, before my time to go home came, I wanted to go to New York City and experience their Christmas extravaganzas. It’s safe to say that I was not disappointed. I visited ‘SantaLand’ at Macys, visited Central Park and watched the light show on Saks 5th Ave. During my time in Canada, I have travelled to so many amazing places, making me realise how little I have travelled around the U.K. This has made we want to explore the country I live in more. 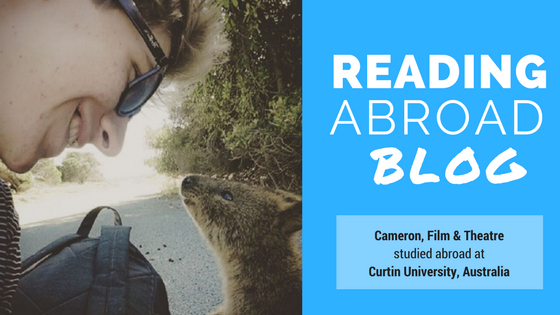 Cameron spent the first part of his second year studying abroad at Curtin University in Australia as part of his Film and Theatre degree at Reading. If you’ve been following his semester abroad, read on for his final blog from his time in Australia. And so it is: my semester abroad has come to a close. Right now the end is in immediate sight but that does not mean that I squandered my last month in the land down under; sat on my haunches waiting for my flight home. Far from it! These last few weeks, like my whole time here in Australia has been outstanding. So let’s get into the details as I recount some of the spectacular stuff that I’ve recently experienced. Firstly, what goes around comes around, as Ellie, my Melbourne-based study abroad partner in crime, came to visit me here in Perth. During Ellie’s time in Western Australia, we went on a quick tour of the state’s sightseeing highlights, including areas such as Fremantle Prison, as well as areas of the capital that I had not previously visited. However, the pinnacle of this lightning stop tour had to be travelling to Rottnest Island. A short ferry-ride from the coast of Perth, Rottnest acts as one of the few homes of the quokka, which are often cited as being the happiest animal on Earth. After spending the day on the island, in their company, I have to agree. After Ellie’s visit, normality resumed for a short while as I finished off some assessments. However, this did not last for long as I jetted off to Sydney to spend my penultimate week visiting family friends. Sydney, like everywhere else that I have been in Australia, is an incredible city. The streets were lively, the people were welcoming, and the weather was beautiful. 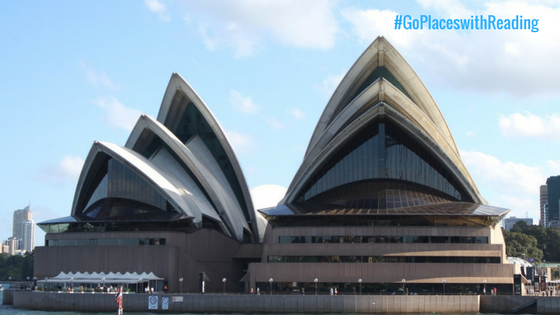 Thanks to an abundance of establishing shots from every movie that has ever had a scene set in Sydney, the iconic image of the Opera House has been ingrained into my consciousness since I was a child. I was always aware of it being a spectacular architectural achievement but actually witnessing the endlessly photographical building (or buildings) with my eyes was a breath-taking experience. Also, to see this building from the top of the Harbour bridge climb, on cloudless, sunny day, has to be one of the greatest moments of my life so far. As stated earlier, I stayed with family friends while in Sydney and I could not have wished for better hosts. So generous and kind, with a great knowledge of the city, it was shame that I couldn’t stay any longer. When one of them comes to visit me and my family in the future I hope we can return the favour. And after Sydney that was it – back to Perth to collect my things and say good bye to my friends at Curtin. I’m sure I will see them again. 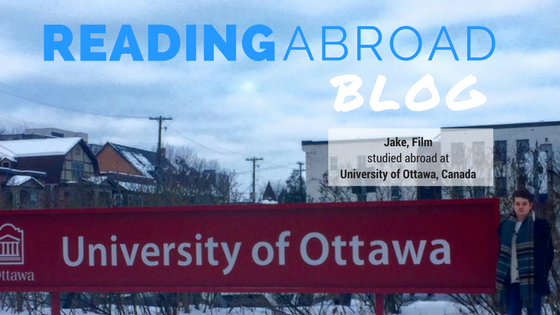 Jake studied abroad at the University of Ottawa in Canada with his Film degree at Reading. 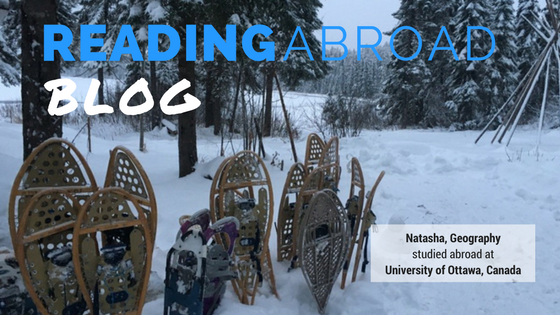 We are already well into the Spring term but Jake’s post looks back on the end of his semester abroad. My last few weeks in Ottawa were hectic to say the least. Knowing my time in Canada was drawing to a close, I tried to make the most of everyday whilst also ensuring I dedicated enough time to completing my Finals for the five modules I chose to take at uOttawa. In the last few weeks, my Final essays undeniably consumed much of my focus and time. However, despite all the stress, I thoroughly enjoyed writing each one. In many cases, by being able to choose my own research questions, I was afforded more academic freedom and creativity than I would have perhaps experienced in Reading for the equivalent courses. From comparing the films of Atom Egoyan, to also analysing how an audience responds to a film like Spike Jonze’s Her, I was able to write about ideas and theories that really captivated me. Canada allowed me to grow in confidence socially, but also enabled me to become more secure in my own academic interests and writing. Apart from my finals, I made a conscious effort to re-visit my favourite places in the city of Ottawa. In the very last few days of my exchange I visited numerous coffee houses and photographed beautiful scenery, exploring places that were increasingly covered with more and more snow. I conducted my own ‘magical mystery tour’ of the memories I created in the very first days after my arrival. It really hammered home how the time had flown by and confirmed to me that, with an experience like this, you really have to make every second count. It is over before you know it! You do not want to be left wondering whether you really ate enough poutine or skated (wobbled) around an ice rink as frequently as you could have done. Looking back on my overall time in Ottawa, I do not regret any moment. Despite the worry, nerves and academic stress of taking such a big leap, I have been exposed to an amazing culture, seen wonderful landscapes and made life long friends. I thoroughly believe that throughout our lives it is our experiences that define us. Everything we do and see contributes to our sense of self, and as I learned in Canadian Cinema, this process of becoming is never ending. Regardless of it being a cliché, I can now see that the world is full of possibilities. After completing my degree to the best of my ability, I cannot wait to get out there and explore it in its entirety. I thank Canada, and the people I met there, for making this exchange an unforgettable experience that has helped me define myself that little bit more as I continue onto the future. 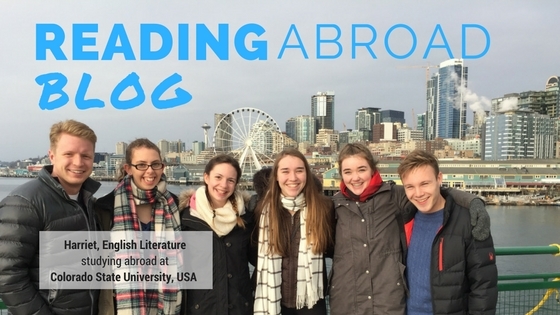 Study Abroad: Inspiration for further travel! 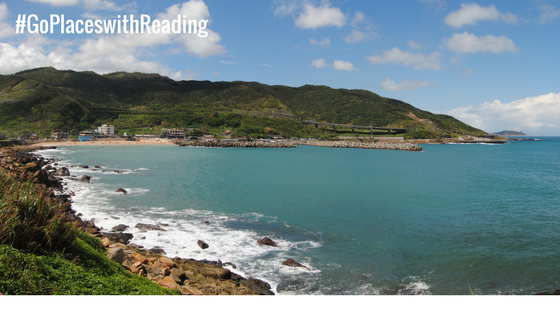 Matilda studied abroad at the National Taiwan University of Arts in Taiwan as part of her Joint Art & English Literature degree at Reading. 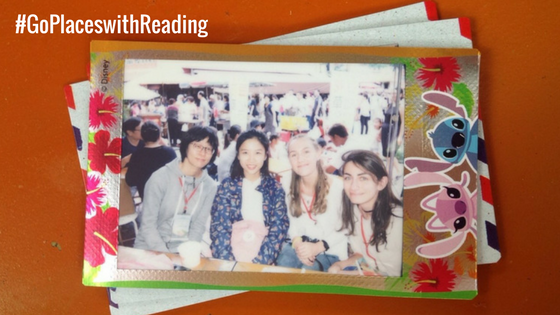 This is her final blog post from her semester abroad. I’m so sad for my term abroad to be ending; I really have had the best time here in Taipei. It’s been fantastic to learn so many new skills and meet lots of amazing new people. I haven’t had an experience like this and I’m so glad I went outside my comfort zone otherwise I wouldn’t have gained as much as I have (academically and personally). The NTUA term continues until 20th January and so my last few weeks have been a bit of a rush with finishing all my work before my departure date. I have been able to do a bit of exploring and went on a cultural trip organised by the exchange office. We made groundnut oolong green tea and visited cultural villages, a temple and a farm, which was fantastic. Taiwan’s rich cultural history is incredibly interesting. Studying abroad has been the most fantastic experience for me, it is the best thing I have done by far. Living in a country for a long period of time gives you a very unique insight into its culture. It has been a really liberating experience and one that I can see having a big impact on my future. I feel it is something I will always refer back to as one of the best learning and development experiences of my life. Studying in Taiwan has given me inspiration to travel and ideas for career paths after university. After Taiwan I went to China. This is something I never thought I would be able to do but actually it turned out cheaper to travel home via Beijing! Seeing Beijing was an incredibly profound experience for me. I arrived at the time the news of Trump accepting a phone call from Tai Ing-Wen came out. I was lucky to be staying with a friend who works for the foreign office who explained the phone call was the first time the US and Taiwan have had communication in 40 years. I was able to see first hand the effect this had in Beijing. The news made headlines about the Chinese expecting a very public and sincere apology from Trump. It was incredible to see these events unfold and with my new knowledge of these political relationships, I could really see the danger, fear and political tension. Studying abroad is something I never thought I would be able to do. I feel it has been a total privilege and I have loved every second. Being so far away was daunting in the first instance of saying goodbye at Heathrow but once I was there, I never looked back! There was so much I wanted to see and do; I would have stayed a year if I could have. I hope that one day I can return to Taiwan and meet my friends again. I have made so many friends internationally from my experience, which has also opened up doors for me. I couldn’t have had a more enriching and enjoyable experience. 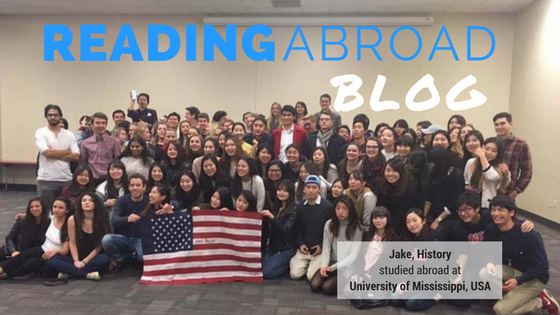 Jake studied abroad at the University of Mississippi in the USA as part of his History degree at Reading. 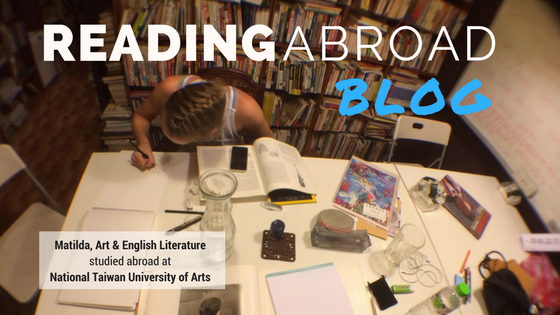 A few months on after returning to Reading after a semester abroad, we find out how he made the most of his time there. So my study abroad experience is finally coming to an end. I absolutely cannot believe that my time in the United States and at Ole Miss is pretty much up, and that soon I will be boarding a plane headed for home. These last few weeks have flown by in a whirlwind of exams, parties and visits to other parts of the nation. Recently, I endured the stress of finals week and the novelty of juggling writing essays, studying for tests, and attending classes as well as the other million things I have had to do. But after those were done with it was time to celebrate and look forward to enjoying some well-earned time off over Christmas. Then came the dreaded last day in which I had to bid farewell to Ole Miss, my fellow international students and American friends. This was much more difficult than as I had imagined it to be a few months ago and indeed I am fairly reluctant to leave. On the bright side I have made many good friends from all over the globe whom I plan on staying in touch with, and while not overly enthusiastic to return home I am excited to see everybody there. Since my last post I met up with my Dad, Brother and American family in New Orleans, Louisiana and explored the historical town. 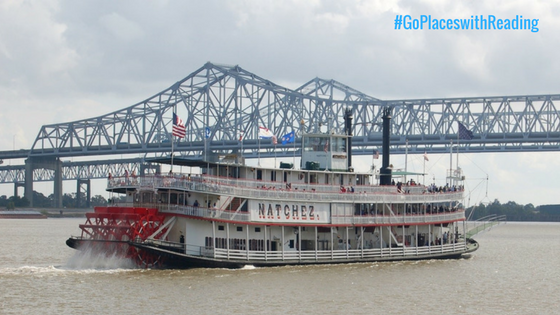 We enjoyed a few drinks on the world-famous Bourbon Street and took a tour of the Mississippi river on a traditional paddle steamer. The city certainly has a lot of character and is incredibly lively at all times of the day, particularly in the French Quarter where were staying. 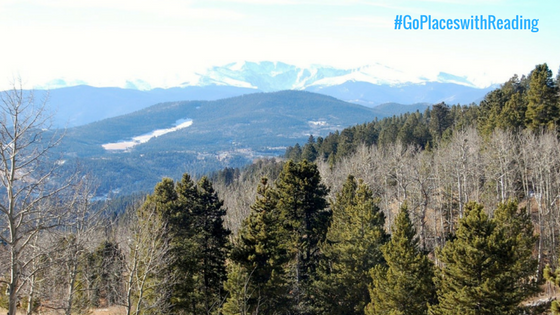 Then over Thanksgiving I decided to take a last minute hiking trip to Colorado and see the Rocky Mountains for myself. This was been something I had always wanted to do and so this week-long break provided the perfect opportunity to tick something off of my bucket list. I can safely say that the views did not disappoint even slightly. The mountains, forests, and the hiking trails were all breath-taking, beautiful and something I am never likely to forget. Despite the freezing weather and snow (-10 °C at one point!) the warm reception I received from the people of Denver made the trip all the more worthwhile. Again this was just another amazing thing I was able to do as part of this whole experience studying abroad and I feel very lucky to have been able to do so. I am currently staying in Memphis, Tennessee for a weekend before I fly back home next week and I’m taking this time to relax and do a few touristy things. I managed to catch a Grizzlies basketball game last night and pretend to know what was going on, and today I visited the home of the King himself, Elvis Presley’s mansion and estate at Graceland. This weekend has also provided an opportunity to reflect on my time here. Studying abroad in the United States was something that I had wanted to do well before I even applied to university and all of my expectations have been met and then some. To anybody reading this debating whether or not to sign up for a semester or year abroad, I have said it before but I’ll say it again, just go for it. Take the plunge and go on an adventure of a lifetime. 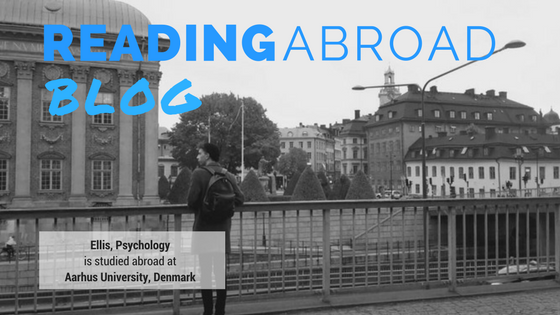 Ellis studied abroad at Aarhus University in Denmark as part of his Psychology degree at Reading. 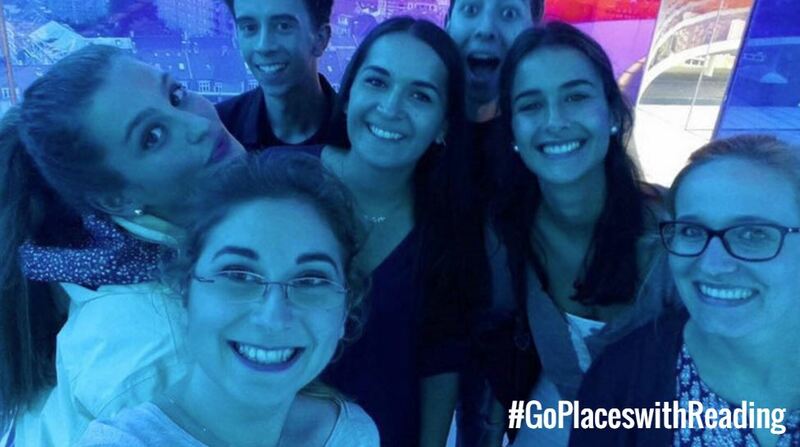 Mid-way through his semester abroad he updated us on all his adventures abroad. 2 months in and I am fully settled into my new life in Denmark, and feel I have got to grips with the secret of the Danes perpetual happiness (the key being a good work-life balance). My experiences so far continue to surpass my expectations, and leave me feeling enriched both academically and socially. With regards to academic side of studying abroad, I have adapted well – I now know what to except from a Danish University, and conversely what is expected of me as an exchange student. Student-led seminars are a significant part of the curriculum, with students being expected to prepare interactive presentations for the rest of the class based on set readings. This style of teaching fosters critical insight, initiative and independence – a skill which I have developed more rapidly under these circumstances. Needless to say, the content of the seminars are also very interesting – studying abroad in Denmark has allowed me to study modules outside of what would normally be offered in Reading, e.g. I am studying modules in interdisciplinary perspectives on digital culture, social aspects of memory, and moral psychology. What I like most about the academic style in Denmark is that there is the opportunity to steer the direction of learning according to each individuals personal interests. End of term assessments consist of three nine-page essays (one per module), with the content of the essay being entirely up to the individual, as long as it’s related to the overall theme of the module (of course it needs to be approved beforehand by a teacher, but there is great flexibility). As well as being engrossed in my studies, I have also had time to explore Denmark and a neighbouring Scandinavian country. During the half-term break, my friends and I spent 5 days visiting Stockholm and Malmö in Sweden. We spent a lot of time doing the usual tourist-orientated activities: sightseeing, visiting galleries, trying different cuisine, shopping, sampling the nightlife. Both cities we visited were spectacular, and had rich cultural and historical backgrounds. The only downside was that there wasn’t nearly enough time to do everything we wanted! However, I still thoroughly enjoyed myself and would recommend to anyone who is looking for a vibrant city break. 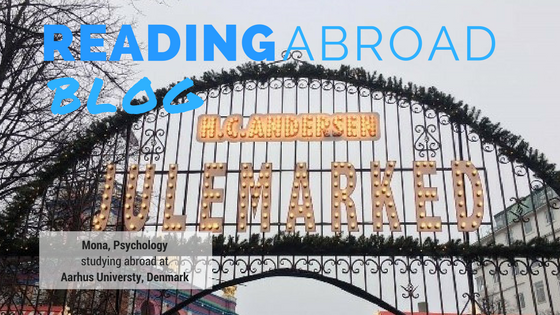 To conclude, studying abroad in Denmark has opened doors to a range of different opportunities which I would never have been able to do had I stayed in Reading. I often remind myself how glad I am that I took advantage of this opportunity. 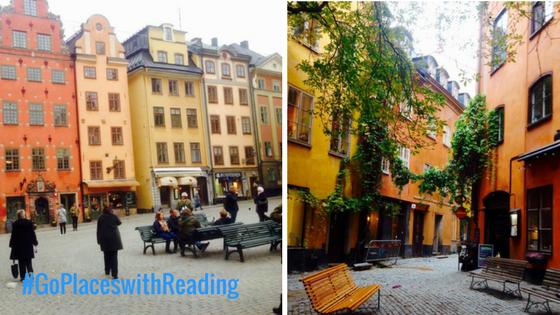 Lucy is half way through her year studying abroad in Uppsala University in Sweden as part of his Law degree at Reading! 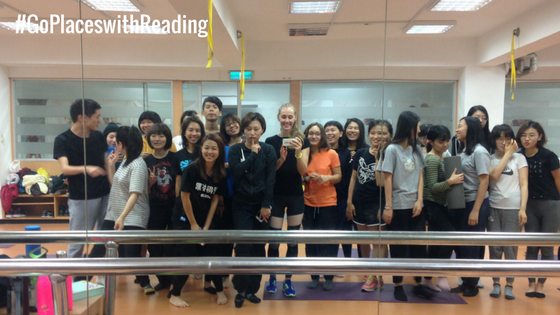 Read on to find out what she has been up to after her first semester abroad! I’m over halfway through my Study Abroad experience and I can’t believe how fast it’s going! Since my last blog I’ve been trying to make the most of what a Scandinavian Winter has to offer me. This of course included gingerbread (on which they put blue cheese-something I’ve found weirdly yummy) and copious amounts of Swedish mulled wine called Glögg (which I’ve found I prefer as it is sweeter than most of the English mulled wines I have tried). I have also spent my time trying to acclimatise to the dramatic drop in temperature, this we had all been warned about-especially since when we arrived in August we had a highly unusual month of lovely warm weather and the Swedes had ominously claimed that this meant we had a bitter winter to come to compensate. In early November I, along with two friends travelled to Bergen in Norway for a weekend trip, eager to expand our experience of the Scandinavian nations. We arrived on Friday and I was immediately struck by the mountains dotted about everywhere while we bussed from the airport to our hotel. Once we arrived in Bergen and settled in we decided to wander down to the Bergen port-recognisable for Bryggen (a series of commercial buildings leftover from when the Hanseatic League traded in fish-a fact we became aware of when we went to the museum housed in one of these buildings). We wanted to get our bearings for the following day when we would be going on a tour of the fjords (the principal reason we had travelled there).That night we made use of our time by going up the mountain on a cable car-giving us a breath-taking view of Bergen. The following day we got to the boat early and I experienced one of the best moments of my life travelling through the fjords and seeing the gorgeous views, we even got to drink water from a frozen waterfall. The rest of the trip passed by quite happily. I was pleasantly surprised to discover that the 13th December is dedicated to Saint Lucia, otherwise known as Saint Lucy, this led to lots of jokes and the lighting of many candles as it is a festival of light. The elected ‘Saint Lucia’ wears a long white gown, has a wreath of battery powered candles on her head and is accompanied by her attendants carrying candles (also in white), their procession enters a darkened room singing traditional songs. It’s a unique and lovely tradition and I was thrilled that it was included in the Luccegasque that I attended as a Christmas celebration at my nation. I was also lucky enough to attend a Christmas Carol concert in Uppsala’s beautiful cathedral, a hair raising experience in the best way. Since coming back from the Christmas break I have been trying to get through my work and cope with the cold, I luckily missed the -20 degree weather that plagued Uppsala the week before I returned! I’m loving my time here and am looking forward to the coming term! Discovering aebleskiver and final goodbyes! 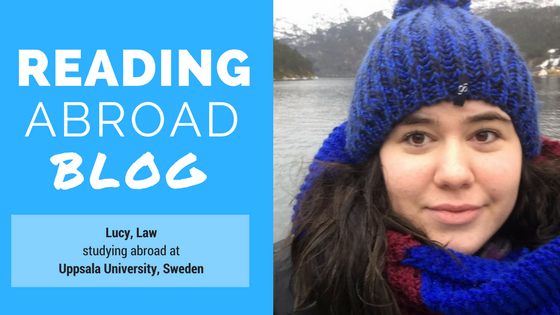 Mona studied abroad at Aarhus University in Denmark with her Psychology degree at Reading! 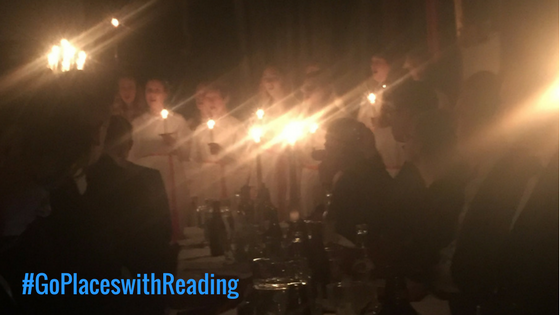 After 4 months abroad she returned to Reading in January and this post looks back on the end of her semester abroad. After the best 4 months on my semester abroad in Aarhus, Denmark, I am now back in England and back at University. I have settled into my lovely new home and am looking forward to completing my degree within the next 2 terms and getting a real job! Even though my semester abroad in Aarhus is over, it will play a great role in my future. I have already been to a job interview and mentioned it which played out as a great talking point and really got them interested in what I did there and what I learnt. The last few weeks at Aarhus consisted of visiting all the places we hadn’t yet visited, visiting all the places we enjoyed gain and sadly, a lot of goodbyes. As I left Aarhus in December, it was looking especially festive at the time. 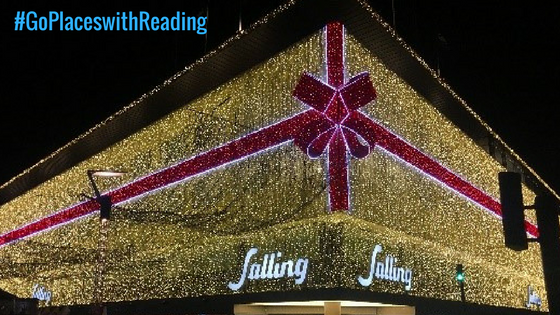 The main high street had been endowed with over half a million Christmas lights and one of the main department stores was covered in Christmas lights and had been wrapped up as a present with a giant bow! There were several different small Christmas markets dotted around the city centre, selling roasted almonds that filled the streets with a sweet Christmassy smell, handmade gifts and lots of little Danish Christmas decorations. It was very cute. To add to the Christmas feel, a couple of friends and I headed over to Copenhagen for a spontaneous visit to go to the Christmas markets! There were several markets, many of which were selling the traditional, and delicious Danish dessert, Aebleskiver. These are traditional Danish pancakes that taste a bit like a doughnut and are served with icing sugar and jam. They’re delicious! While I visited many cities and countries on my semester abroad, I will always consider Aarhus my favourite place. I learnt a great deal on my semester abroad including developing my independence further, learning about and adapting to living in a new culture, and learnt a lot about high taxes! 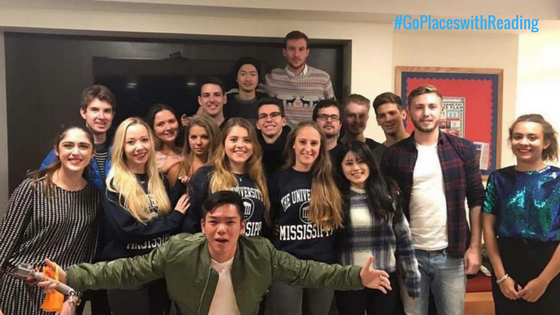 I also made some amazing and lifelong friends from countries all over the world and would encourage anyone who is considering studying abroad, to just go for it! I remember I was a bit hesitant at the beginning and couldn’t decide whether to go or not but I can’t be any happier with my decision. It has been the best 4 months of my life and the best experience so far. For anyone considering studying at Aarhus University I would definitely do it. The university is very highly ranked within Denmark and for me, had a wonderful psychology department and a very interesting program. The city centre is small but there are always things going on, there are very cheap links to Copenhagen and the neighbouring Scandinavian countries and it is no doubt, very cosy and hygge. I loved it! Thank you study abroad! 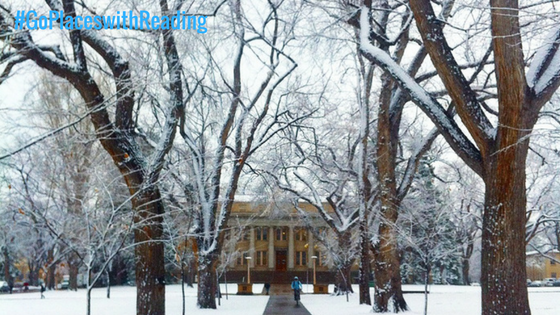 Harriet is studying abroad at the Colorado State University (Fort Collins) in the USA as part of her English Literature Degree at Reading. After spending a semester abroad, this is her last post covering her last month in the USA! So my Study Abroad experience has finished and I can honestly say that it was the best experience of my life so far. In my last few weeks at CSU I experienced Thanksgiving – it’s basically just Christmas but without any presents. I spent the week with my friend and her family and it was great to feel involved with the true American culture. The food was also amazing! When I was at my friend’s house we visited Denver one night, which is the capital city of Colorado. We went to the Aquarium and also just explored downtown a bit, so it was nice to see other parts of Colorado. It was also great to just have a week of no work after having eleven solid weeks at University without a break! After Thanksgiving I had a few more weeks of classes before finals week, and it finally snowed! It snowed a lot more than it usually does in England, and the snow stayed for about a week before melting. It was so cold but worth it because Colorado is really gorgeous in the snow, especially the mountains. Soon enough it was finals week. I had been dreading it, however exams were not even nearly as hard as exams in Reading – I got 2 hours for each exam to answer short questions without writing any long essays. I finished really early in every exam and I think my grades are looking okay. One of my exams was also online so for this we were allowed to look at our notes whilst we were taking the exam! It is definitely easier to get good grades in America than it is in the UK! After finals week I went to Seattle, Washington with my roommate and my friend from Reading. We stayed with my roommate’s family who were really accommodating and made us feel incredibly welcome. We had an amazing week and saw sights such as the Space Needle, Gas Works Park, the famous gum wall, and took a ferry across to Bainbridge Island. On our last day in Seattle we went Snow Tubing in the mountains, which was incredible. You basically sit in a rubber ring and go sledding, but being in the mountains made it an even more amazing experience. Seattle is a beautiful city and it’s very historical so it was interesting to visit, and it was also great to get to spend more time with my roommate before having to say goodbye. Leaving the US and my roommate was most definitely the hardest part of my experience – I just did not want to leave, and if I had had the option to spend the entire year in America I would have. Our flight home was quite eventful as we arrived late to our connecting flight so had to be rerouted through New York instead of Georgia. But we were upgraded to business class because of the delays, so it could definitely have been worse! I have been talking to my roommate every day since leaving and have already planned my next trip to America, as well as when my friends from Colorado will visit England. Study Abroad was a truly awesome experience and I would not change a second of my time. 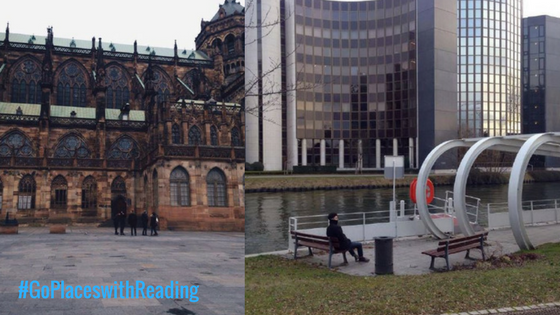 Josef is currently studying abroad at the University of Tubingen with hisHenley Business School degree at Reading. Read on to find out what he’s been up to mid-way through his year abroad. It barely feels like two minutes since I had just arrived and was writing my first blog post. Erasmus so far really is flying by and I’m sure it will continue to do so. Since the last time of writing the main difference is the weather, which has gone from t-shirt weather in mid October to near constant freezing temperatures and a lot of snow. Thankfully I missed the coldest period of weather over Christmas when it dropped to -13 causing the River Neckar, which runs directly through the middle of Tübingen, to freeze completely over. Whilst being here, I have been attempting to make the most of the fact travelling around Europe is so easy, partly helped by friends from all corners of the globe wanting to make the most of their time in Europe by travelling around and dragging us Europeans with them. We had a weekend in Munich (only 3 hours by coach) which involved a lot of walking before deciding to go to one of the cities many beer halls, before moving on and settling in a quieter bar followed by a night out. Also I have had many trips to the city of Essen to visit family and be fed like a king by a Nan who thinks students don’t eat, not that I’m complaining. Although these trips did mean I missed out on weekends away in Paris, Hamburg, Switzerland and hiking in the Black Forest (being a city kid, I was quite glad I missed out on the hiking though). Last weekend, we visited Strasbourg for the day, just over the French border from Germany and only took around two and a half hours and 10 euros by train (a much quicker train is possible, but it is almost twice the price of my flights back to the UK). We did all the usual sights in Strasbourg such as the Cathedral and European Parliament, before getting the train back and getting ready for a friend’s birthday night out. There’s already a couple of future trips planned such as Berlin, Aarhus in Denmark and hopefully Italy to visit some fellow UoR Erasmus students. On the work front, lectures continue to tick over and I still can’t get used to the 8am lectures. Another big difference with uni over here is the term structure which I’m still finding a little bit odd. The winter semester here goes from mid October to mid February with exams at the end of February and just two short weeks off for Christmas. After exams have finished in February, I will be off until mid April when the summer semester begins, which then runs to August. Having the whole of March off does somewhat make up for the very short Christmas holiday and gives me a chance to go home to visit family and friends as well hopefully giving me a chance to get down to Reading as well. The work aspect is a big part of being here in Tübingen and getting a German perspective on my course is fascinating and I’m sure will prove beneficial by the time final year comes around or even, dare I say it, the world of work that comes after. But by far and a way the biggest thing I have taken out of my time here so far is the social aspect and it is the same for just about every exchange student I know or have met. Having friends from every continent around the world isn’t just interesting, it also means I will have somewhere to stay should I ever visit Australia, China, Russia, etc. Nights out also prove to be interesting as well as funny, as all the different cultures surrounding nights out clash like the Russians genuine hate for beer but love of spirits; the Danes’ love for drinking songs; and the Australians and Kiwis drinking from shoes (this really is as grim as it sounds). As exam season begins to approach here, the whole uni seems to be slowing down a little and preparing, so roll on the end of February when exams are out the way and then roll on mid April and the start of the summer semester.